When avian flu began spreading across Asia in the early 2000s, it reawakened fears that had lain dormant for nearly a century. During the outbreak's deadliest years, Alan Sipress chased the virus as it infiltrated remote jungle villages and teeming cities and saw its mysteries elude the world's top scientists. 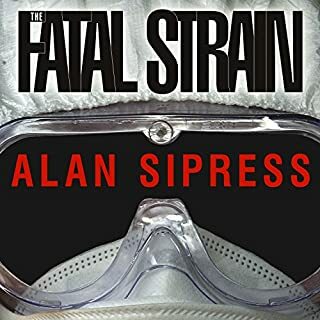 In The Fatal Strain, Sipress details how socioeconomic and political realities in Asia make it the perfect petri dish in which the fast-mutating strain can become easily communicable among humans. This book is a discussion of Bird Flu - how the scientists and public health scientists - track down and stop Avian Flu outbreaks in poultry and humans. Last year and into January 2018, the State of Virginia had an avian flu outbreak in as of January 2018 so it is a current issue. I would definitely recommend this book - it is interesting and fast moving. I love all the Harry Bosch books and also the series on Amazon Prime. The addition of the new main character of Rene Ballard has added interest to the story line. 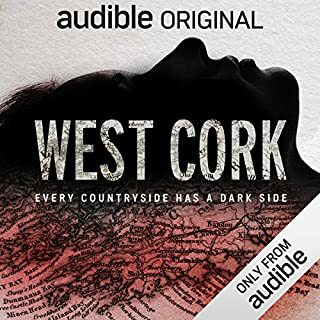 I would recommend this highly as a starter book of a series, but as a caveat, I think it is better to start from the beginning, if you can (no, Audible did not bribe me to say that!). Otherwise, you can watch the Bosch series on Amazon Prime (free to Prime Members and no, I was not bribed to say that either!). The Bosch series is quite true to the books and brings you up to speed quickly. 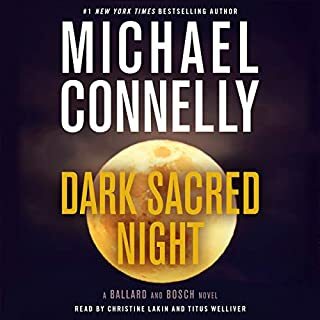 Both narrators were great - Titus Welliver is the voice of Bosch to me now - (discussion with the Bosch series producers, directors, MIchael Connelly and Titus Welliver are available for free on Audible). You will never believe the twists and turns. Interviews are with the individuals involved - not unverified sources. I recommend highly. 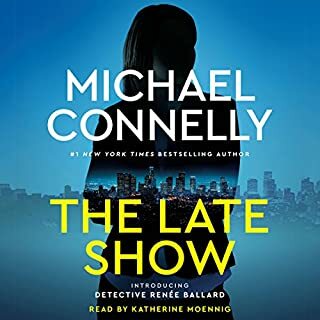 Rene Ballard is a detective who is assigned to a shift that investigates crimes that occur on her shift, but then are turned over in the morning to the detectives who will solve them. But she is determined to continue her investigations during the days and nights to follow. 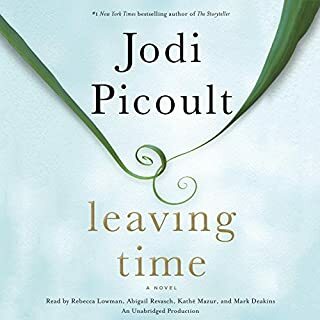 I found every minute of this book captured my attention and I couldn't put it down. If you like the Bosch series, I believe you would like this book. But you don't need the Bosch series first - this book stands alone. PS - If you like Bosch, you MUST try out the series on Amazon Prime. The series is better than the books (and the books are GREAT) ! I found this book very thrilling to read, but just a warning that it is very dark. I almost didn't get this book because there were some strong opinions about the narrator. I agree that its not perfect, but I found this a thoughtful book. As a nurse, I have seen many people with dementia. This book really made me look at their behavior in a different way. I am still thinking about what happened and the characters. 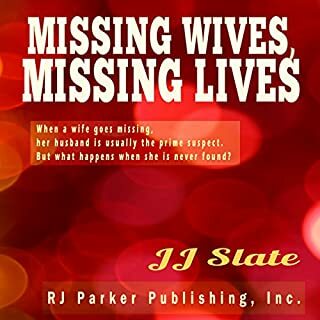 Missing Wives, Missing Lives focuses on 30 unique cases in which the wife has never been found and the undying efforts of her family as they continue the painful search to bring her home. 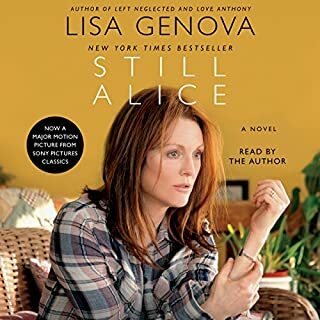 The audiobook covers decades older cases, such as Jeanette Zapata, who has been missing since 1976, to more recent and widely known cases, such as Stacy Peterson, who has been missing since 2007. First, I found this book to be interesting. It is obvious that the author is compassionate about the families that she writes about. But it is a short book with only a short chapter on each victim. I would have liked it to be longer and more in depth. First, I was interested in this box after seeing the trailers for the movie so I went in with a script in my mind of what would happen. I would recommend this book as a book about athletic ambition, what wrestling is like, and the story of a person who knew John DuPont. This is not a book that is a biography of John DuPont or any explanation of DuPont's life and motivations. 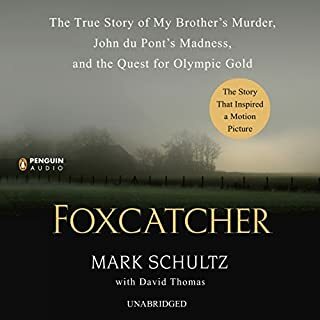 So I would recommend it as a book for what it is - a story of an Olympic wrestler, his life, his brother's life, and a sad crime. In the summer of 1998, Walter Kirn - then an aspiring novelist struggling with impending fatherhood and a dissolving marriage - set out on a peculiar, fateful errand: to personally deliver a crippled hunting dog from his home in Montana to the New York apartment of one Clark Rockefeller, a secretive young banker and art collector who had adopted the dog over the Internet. 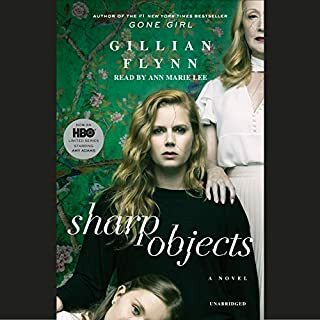 Thus began a 15-year relationship that drew Kirn deep into the fun-house world of an outlandish, eccentric son of privilege who ultimately would be unmasked as a brazen serial impostor, child kidnapper, and brutal murderer. 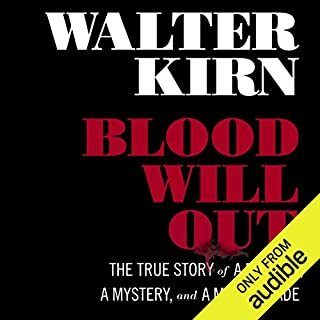 This book is about an unbelievable con man from the perspective of a person who was conned from when they met until the end of the murder trial in 2013. The author is very honest about how he was duped and his own culpability into falling for this con man. If the book intrigues you, then go back and download "The Man in the Rockefeller Suit" which is more of a fact based book but was written before the murder trial and focuses on the kidnapping trial. I just was looking at a You Tube interview which included both authors so they compliment each other. If you find the concept of how a psychopath can fool an author writing about him, you may also be interested in "True Story" by Michael Finkel.